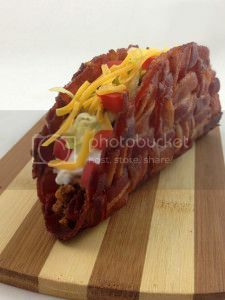 Bacon Weave Taco. No, I haven't tried it, in fact I stole the picture elsewhere. Looks good though. I'd try it especially if it was Al pastor.